This tutorial is to show you how you can migrate the data from Third Party plugins to Schema and structure data. let’s get into it. 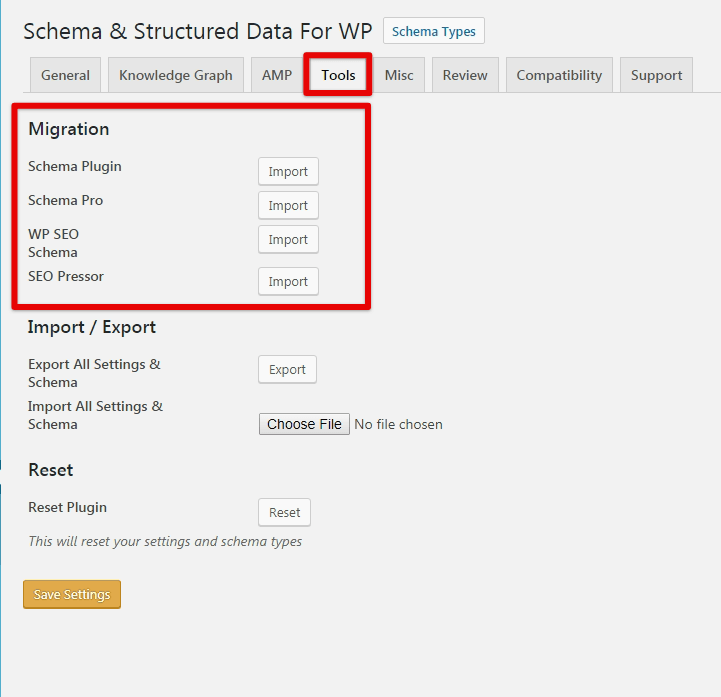 If you were using the Third Party Schema plugin and you would like to start using our Schema plugin but getting worried about losing the data then we have good news for you by using our Migration functionality in our plugin you can import all the data in just one click. Currently, our plugin imports the data of the plugin which is listed below. We hope we’ve clear your doubts in case If you have any feedback or questions, Just contact us here and we are always available for you.